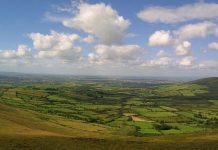 Northern Ireland is filled with amazing different tourist spots that you can visit. One of the favourite and most popular places to visit is the Giants Causeway. The Giant’s Causeway is located in county Antrim on the North Coast of Northern Ireland. This place, the Giants Causeway, is the result of an ancient volcanic eruption that led to the appearance of this area of about 40,000 interlocking basalt columns that give this shape at the end and turn this place into a touristic area for visitors to come and see this wonder. The popular Show Game of Thrones has also used the Giant’s Causeway for filming. 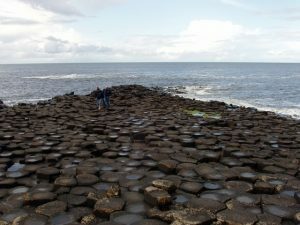 In this article you’re going to go on a ride through history and legend until you get to the modern age and all the things you can do to have fun at the Giant’s Causeway. So let’s start from the top. 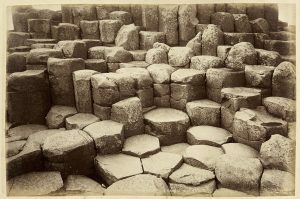 Where did the name Giant’s Causeway come from? 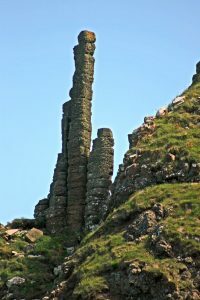 According to Irish legend the columns are the remains of a causeway built by an Irish giant. In Gaelic mythology, a much larger foe from Scotland challenged the Irish giant to a fight. He built the Giant’s Causeway across the North Channel so they could meet. Once the Irish giant realised how gigantic his foe really was, he used a bit of Irish trickery. He had his wife disguise him as a baby and tuck him into a cradle where his Scottish foe could see. Once the Scottish foe saw the size of the baby he realised how huge the father must be. The Scottish giant fled in fear wrecking the Giant’s Causeway behind him as he fled the North Coast so the Irish giant wouldn’t chase him. Good story right? Lore is always fun. But really, what’s so special about this place. 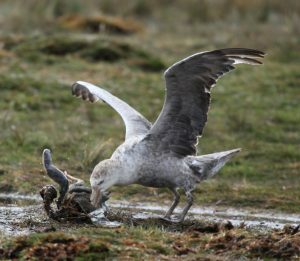 Causeway Coast is home to a variety of unique and peculiar wildlife. It hosts not only animals but rare breeds of plants and uncommon rock formations. 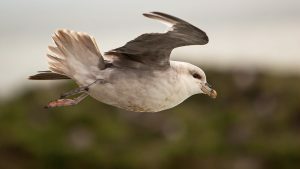 The Causeway offers haven for seabirds such as fulmar, petrel, cormorant, shag, and more. The rock formations shelters a number of rare plants including sea spleenwort, hare’s-foot trefoil. 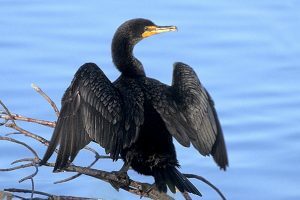 For more about wildlife in Causeway Coast click here. Remember the Irish giant from before. Well, that’s his boot; legend goes he lost it fleeing when he realised the size of his foe. 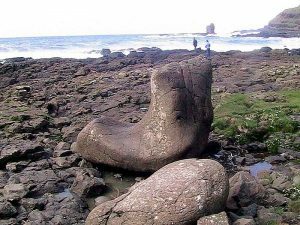 Specialists estimate that the Boot is around size 94 ! The Grand Causeway is one of the main areas people visit The Giant’s Causeway and County Antrim. It’s a long stretch of amazing basalt formed by the volcanic eruptions. Formed long ago in the volcanic eruptions the columns are mainly hexagonal though there are some with up to eight sides. And they are a wonder to behold. One of the must visits. The Wishing Chair is a natural formed throne sitting on a perfectly arranged set of columns. Want to know how it feels to be king? sit on the throne. Shockingly women weren’t allowed to sit on The Wishing Chair till a recent point in history. For more about information checkout The Wishing Chair. From 2000 up until 2012 the Causeway was without a visitors’ centre as the building burned down. That was an opportunity to build much more modern and more improved visitors’ centre. An architectural competition took place. A large number of architects submitted designs and proposals for the centre. In the flood of creativity, art and design, Heneghan Peng proposal came on top. It’s a an architectural practice based in Dublin. The newly constructed Visitors’ Centre became an attraction much like any natural formation in the Giant’s Causeway. Its unique design and a number of available activities made it a must visit. It’s worth noting that the Giant’s Causeway visitors’ centre won a National Award of Excellence for ‘Best Tour Visit’ by CIE Tours International in 2007. The Giant’s Causeway was originally discovered by a Bishop from Derry, the second largest city in Northern Ireland and the fourth-largest city on the island of Ireland. He visited the site in 1692, but back then it was hard to get a wide reach of the rest of the world. The Causeway was announced to the wider world and made official through the presentation of a paper to the Royal Society from Sir Richard Bulkeley, a fellow of Trinity College in Dublin and later awarded a fellowship in the Royal Society. 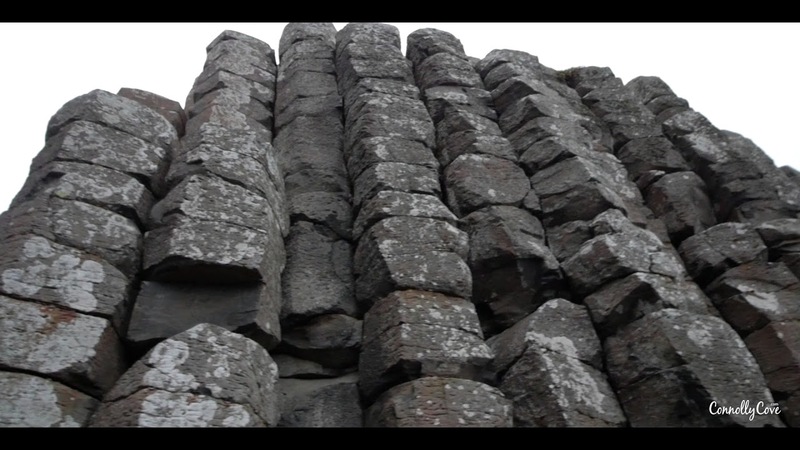 The Giant’s Causeway received attention from countries all over the world when it was introduced into the world of arts by the Dublin artist Susanna Drury. She made watercolour paintings of it in 1739 and she won the first award presented by the Royal Dublin Society in 1740. Volume 12 of the French Encyclopedie later included Drury’s. 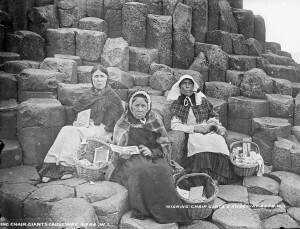 Tourists began to flow to the Giant’s Causeway during the nineteenth century. After the National Trust took over its care in the 1960s and removed some commercialism, the Causeway became a well established tourist attraction. Visitors were able to walk over the basalt columns right at the edge of the sea. The construction of Causeway Tramway also spiked the tourists attention to the spot. It connects Portrush and the Giant’s Causeway on the coast of County Antrim, Northern Ireland. This pioneered invention is a 3 ft (914 mm) narrow gauge electric railway. It’s 14.9 KMs long and was hailed at its opening as “the first long electric tramway in the world”. The Giant’s Causeway and Bushmills Railway today operates diesel and steam tourist trains over part of the Tramway’s former course. Check out the video below of our road trip video to the Giant’s Causeway with the kids, who all enjoyed the day exploring. Have you ever been to this famous attraction in Northern Ireland? If so we would love to hear all about your experience 🙂 If you liked this attraction here are some other popular northern Ireland attractions that might interest you: Bushmills, Carrickfergus Castle, Lough Erne, Titanic Museum. 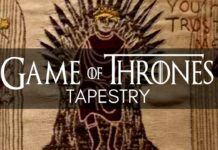 Northern Ireland is filled with different touristic places that one could visit and in addition to that, some of these places became famous for appearing in Game of Thrones movie series that gained lots of fans when it was first aired. Giant's Causeway in Northern Ireland is the destination which we visited this time (https://www.youtube.com/watch?v=OBt0e...).The Giant's Causeway is located in county Antrim on the north coast of Northern Ireland, which is about three miles northeast of the town of Bushmills. This place, the Giant's Causeway, is the result of an ancient volcanic eruption that led to the appearance of this area of about 40,000 interlocking basalt columns that give this shape at the end and turn this place into a touristic area for visitors to come and see this wonder.A lot of people tend to visit this place for the history it carries behind and for the way it was created and brought into this world, but there are those who only new about its existence and even considered visiting it after the scenes it appeared at in the Game of Thrones movie - since lots of people fell in love with that movie series which almost all its scenes were filmed in Northern Ireland.